Guest post by Ellen Belcher, communications director at Learn to Earn Dayton. 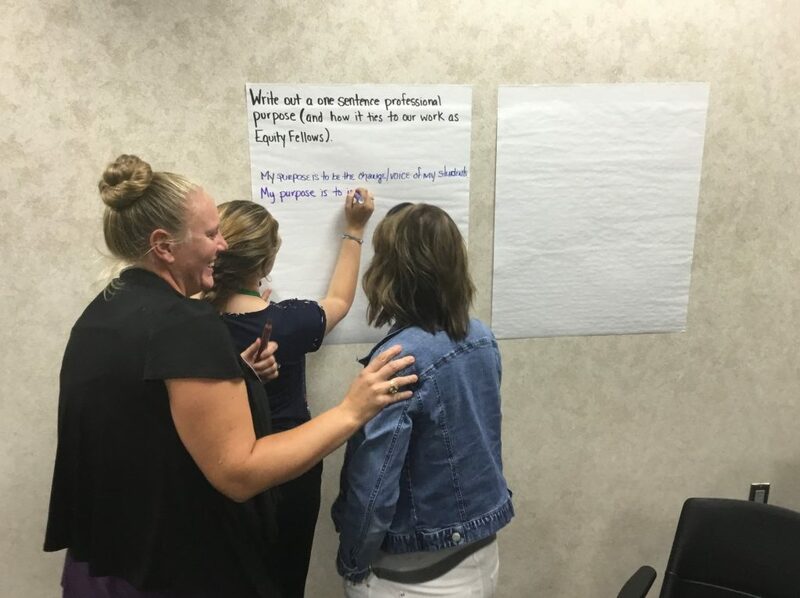 Thanks to support from StriveTogether’s Cradle to Career Community Challenge and the Lumina Foundation, nearly 150 Dayton-area educators and community leaders recently participated in a two-day training on equity by the National Equity Project. Learn to Earn Dayton is a member of the StriveTogether Cradle to Career Network at its highest designation of proof point and was designated a Talent Hub by the Lumina Foundation. The organization is leading the work in Dayton to create a communitywide Equity Action Plan and place specially trained Equity Fellows in selected schools. Equity Fellows will consist of teachers, administrators and community advocates. On day two of the July training, Learn to Earn Day staff and participants reflected on the previous day’s presentations and discussions. Leaders from one high school said they welcomed the chance to talk about equity and discuss strategies to eliminate gaps in student success. Presentations, led by the National Equity Project, provided a time for all the Equity Fellows to think more deeply about the challenges and joys associated with teaching diverse student populations. “Once you hit that building (at the start of the school year), there’s no time,” one person said. Equity Fellows are getting steeped in data around the achievement and opportunity gaps in their buildings. For instance, they’re reviewing proficiency test data disaggregated by race and gender, as well as disaggregated chronic absenteeism and suspension data. The goal is to identify policies and practices that may be negatively affecting student sub-populations or that reflect implicit bias. During the reflection time, some participants said they were struggling with the fact that so many students who have difficulty in school are growing up in poverty, regardless of their race or ethnicity. The facilitator, Brett Bradshaw, suggested that too often in conversations about equity, poverty becomes the explanation for achievement gaps because people “don’t have the muscle to talk about race.” “Talking about poverty is a way to avoid talking about race,” he said. 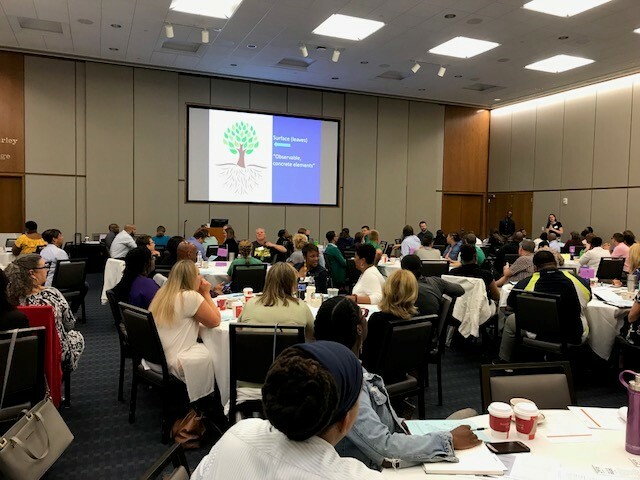 Using prompts from Zaretta Hammond’s Culturally Responsive Teaching and the Brain, participants had provocative discussions about culture’s impact on creating trusting relationships with students and families. This inaugural training session included representatives from a local hospital, Dayton-area colleges, the Dayton Urban League and three businesses. In addition to Dayton Public Schools, three other Dayton-area school districts sent staff to the event. Building on the work of the training, the first group of Equity Fellows will be embedded in Dayton Public Schools, area preschools and a local college. Fellows are charged with understanding their school’s achievement data, disaggregated by race and gender; helping staff and families know that data; and leading collaborative efforts to close achievement gaps. In addition, they’ll be leading work around school goals on reducing chronic absenteeism and suspensions and promoting culturally responsive teaching practices. Equity Fellows will not be working alone. They will be supported by their principals, some of whom also came to the recent training, and community stakeholders. The Fellows receive a $3,000 annual stipend. Funding for the Equity Fellows initiative is provided through both StriveTogether and the Mathile Family Foundation, which jump-started the work earlier this year. The Fellows initiative is modeled after a successful STEM Fellows program created by the Dayton Regional STEM Center and the Montgomery County Educational Service Center. Over the Dayton community’s three-year equity initiative, the number of participating school districts and the number of Equity Fellows is slated to grow significantly. The equity gap cannot be closed or eliminated in one year. The goals of this initiative are to promote ownership of data, mindset changes and adoption of best practices that impact equity and collaboration between teams in school buildings, school districts, local colleges and preschools. Ellen Belcher is communications director at Learn to Earn Dayton, a member of the StriveTogether Cradle to Career Network in Dayton and Montgomery County, Ohio. 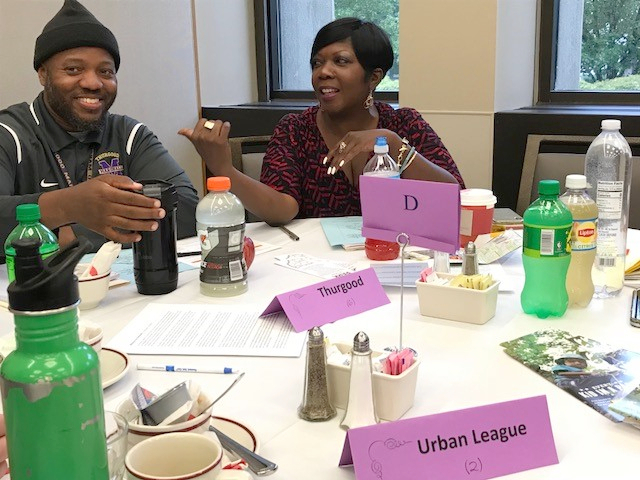 With support from the Cradle to Career Community Challenge, Learn to Earn Dayton is leading communitywide efforts to implement an Equity Action Plan and place Equity Fellows in schools, especially those serving many underrepresented students. This is incredible! I look forward to learning more about the results of this project as it develops. I’m curious though as to how Equity Fellows were selected. Was there an application process? Thanks for your question, Amanda! I’ve just connected you by email with someone from the partnership who can provide more information.